Your horse represents a substantial investment and that investment must be protected. American Steel Span offers steel horse barns in a variety of models and sizes to accommodate your very need. A metal horse barn with 100% useable space is ideal for housing horses or other livestock and provides a secure shelter. A horse barn kit from American Steel Span is custom made to accommodate your unique needs. 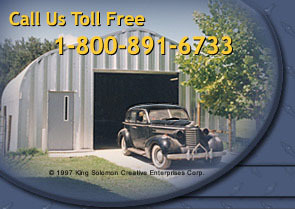 A wide variety of accessories are also available to complete your metal horse barn to your exact specifications. American Steel Span offers endwalls for steel horse barns in five popular colors and trim is available in four coordinating colors. Several models of horse barns are also available with colored arches so that your horse barn will not only be functional, but very attractive.